All content on this web server is in the ownership of FJMPC. The logos, photographs, images and other graphic elements, are owned by FJMPC. Not to be reproduced in whole or part by any means without written permission from the owner. In this sense, they are constituted as protected works by the European Union’s regulations in the field of intellectual property, in accordance with Directive 96/9/CE on the Legal Protection of databases. In order to facilitate a fast and efficient development of the relationship between users of the website, FJMPC guarantees by this notice the privacy of online services in accordance with legal requirements and informs about its policy on personal data protection so that users can freely and voluntarily decide whether they wish to provide their personal details through the contact form or any other possible way, either to deal a technical issue, take part in an online survey, register your products or acquire them. On all these occasions we will collect personal information relevant as your name, email address and contact preferences: details on 1Life products you possess such as serial numbers and purchase date; or information related to a problem, support or repair. We collect information for market research purposes to gain a better understanding of our customers and give them better service. In order to facilitate a fast and efficient development of the relationship between FJMPC and the users of this website, we hereby guarantee the privacy of online services in accordance with legal requirements and inform about the policy of protection of personal data for that users may freely and voluntarily decide whether they wish to provide FJMPC with their personal data through the contact form or any other possible way, whether to address a technical question, to participate in an online survey, to register their products or to acquire them, the On all these occasions, we collect relevant personal information such as your name, email address and contact preferences: details about the 1Life products you have, such as serial numbers and date of purchase, or information related to a problem, support or repair. The data provided will only be used to provide due follow-up of the questions / themes placed and will be kept only for the time needed to complete them. The data provided will not be used for any other purpose. At any time, you may exercise your rights of access, cancellation, rectification, forgetfulness and opposition to the treatment, use and transfer of your data through a communication addressed to FJMPC: marketing@fjmpc.pt. As the holder of personal data, you have the right to request, through marketing@fjmpc.pt. in accordance with applicable law, access to personal data relating to him or her, rectification of personal data that is inaccurate or incomplete, erasure of personal data, total or partial limitation of the processing of personal data, the right to to oppose the processing and the right to portability of personal data in a structured, commonly used and automatic reading format. Where it considers that FJMPC has violated its rights under the law applicable to data protection, may submit a complaint to the competent control authority (National Data Protection Commission). FJMPC guarantees that it has adopted the technical and organizational measures to ensure security of data found in our databases. Using cookies will not only help the website to recognize the user’s device the next time he visits it, but it will often be essential for its operation. The cookies used by FJMPC, on all its websites, do not collect personal information that allows the user to be identified. They store generic information, namely the form or place / country of access of the users and how they use the sites, among others. Cookies only retain information related to your preferences. In general, cookies are used to improve the user’s browsing experience, increasing response speed and efficiency. They eliminate the need to repeatedly enter the same information and help determine that the advertising messages you see are relevant and fit your interests, ie the usability, interest, and number of uses of the websites. These cookies are used only for the purposes of statistical creation and analysis, without ever collecting personal information. Thus, FJMPC can provide a high quality experience by customizing your offer and quickly identifying and correcting any issues that arise. Permanent cookies – They are stored on your access devices (computer, mobile phone / smartphone or tablet) at the browser level, and are used whenever the user visits the site again. In general, they are used to direct navigation according to the interests of the user, allowing FJMPC to provide a more personalized service. You may disable some or all of the cookies at any time. 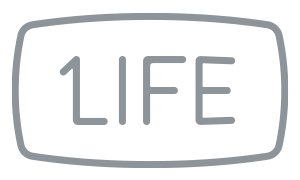 When you disable cookies, this 1Life site may not work correctly.